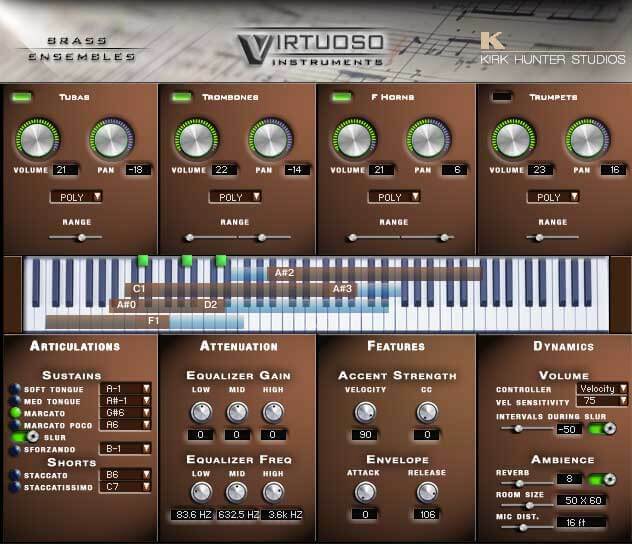 VIRTUOSO ENSEMBLES is an epic virtual orchestral collection that's ideal for music composition and live music performance. Designed with unprecedented flexibility, you now have the ability to arrange your own custom ensembles putting the orchestra at your command. 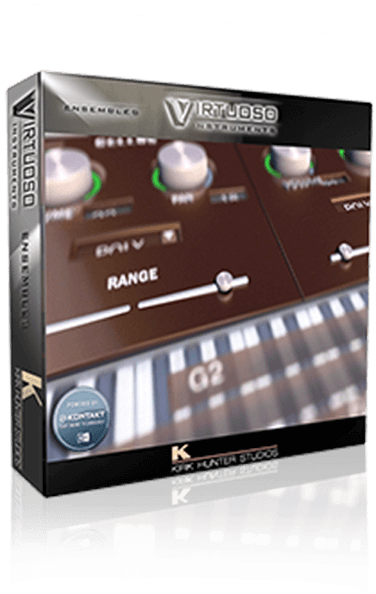 Developed in the Native Instruments Kontakt engine, VIRTUOSO ENSEMBLES delivers the finest quality sampled sound of an orchestra with extremely detailed user control; perfect for your final productions. 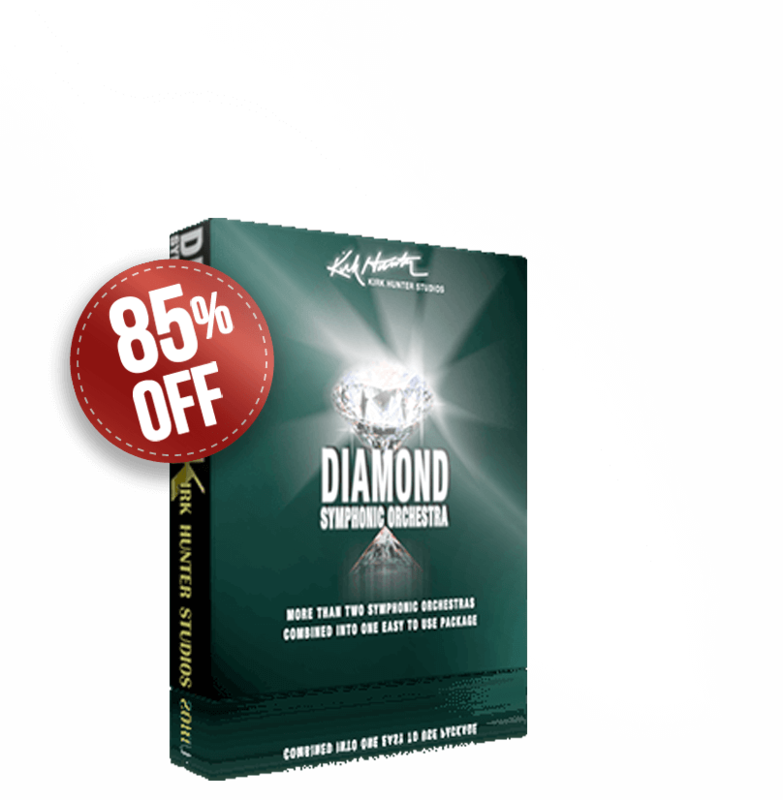 VIRTUOSO ENSEMBLES goes above and beyond in delivering all strings, brass and woodwind solo sections of a full orchestra while also including auxiliary percussion, epic hits, pristine piano, and an elegant choir. Of course, the strings, brass and woodwind sections are the collective core of this library. 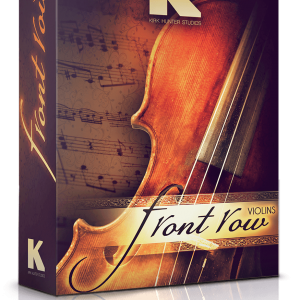 With truly great sounds spanning all sections of the orchestra into one instrument, you will find yourself using this library as your go-to tool for composing, performing, and professional music productions. 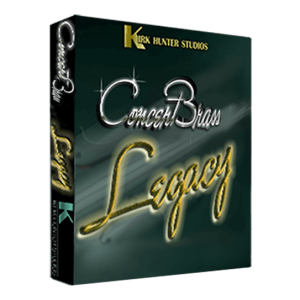 Control four instrument sections, (strings, brass, woodwind solos) mapped across the keyboard for a realistic feeling of an entire orchestral compliment. Multiple articulations, dynamics, and round robins. Provides efficient and intuitive control to modify the split or crossfade between each of the 4 sections giving you amazing flexibility to get the ideal mix. Intuitive visual dynamic LED indication for active section and active keys played. Effortlessly switch between "Legato” and "Poly" modes. 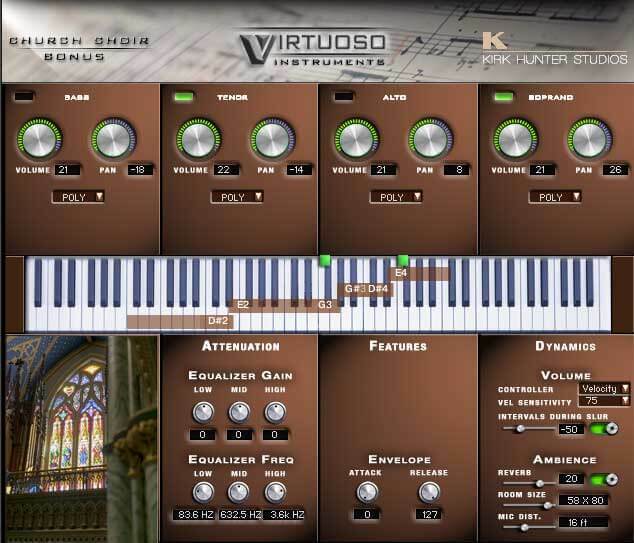 Uses IntervaLive® to add realistic transitional intervals in both "Legato" and "Poly" mode. Stack up any combination of the 4 sections together, or use them independently. Control the mix of each section's volume and pan. Includes many popular "sustained" articulations - Arco, Marcato, Tremolo, Soft and Medium Tongue, Sforzando, and more. 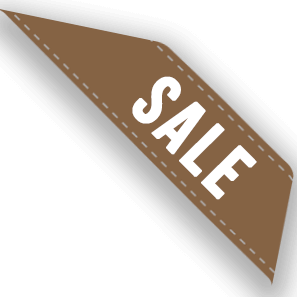 Includes many popular "short" articulations - Staccato, Staccatissimo, Spiccato, and Pizzicato. Uses "slur" and "sustain" articulations. Even aggressive ones such as "Marcato" will always have smooth slurs. 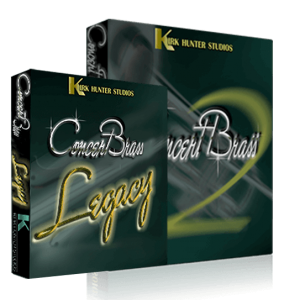 Provides accent strength control for the Marcato, Sforzando, Staccato, Staccatissimo, and Spiccato articulations via velocity and MIDI CC . Crossfade any "sustain" articulation with the "tremolo" articulation via MIDI CC (Strings only). 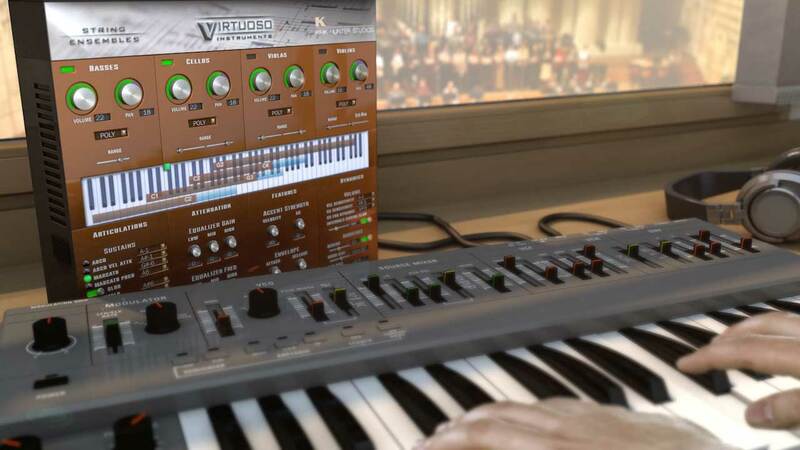 Choose volume control via velocity, or MIDI CC, or both. 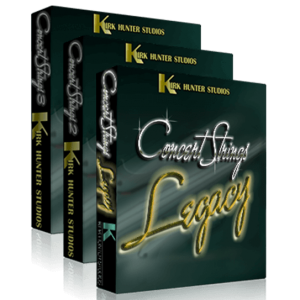 Velocity sensitivity (strings, brass, woodwinds) and MIDI CC sensitivity (Strings) control for volume. Fine-tune envelope attack and release control. Stereo/Mono slider (Shown as distance in feet. 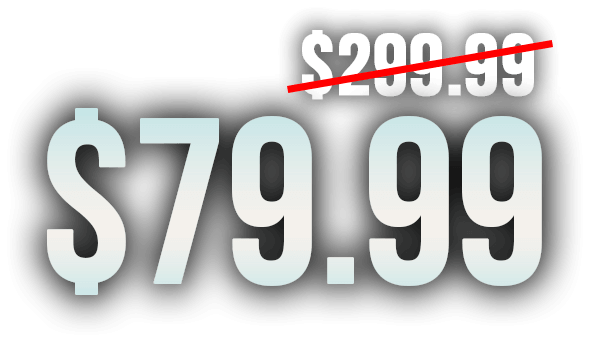 With or without reverb). How Exactly Are the Instrument Sections Divided? 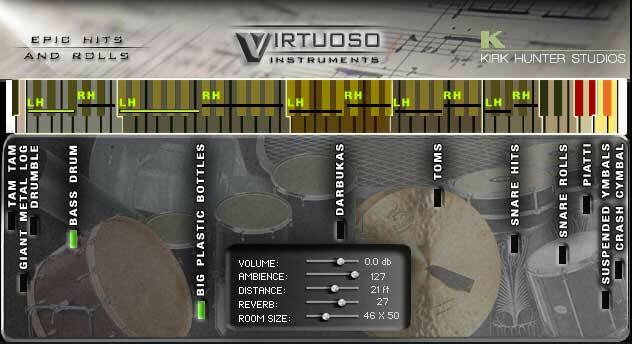 56 MB total sample size Sopranos Altos Tenors Basses Sustain "Ah"
VIRTUOSO ENSEMBLES includes over 4404 samples, and over 2.5 GB compressed sample content using Kontakt’s lossless sample storage compression. 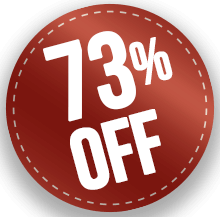 All samples are delivered at 44.1kHz/24-bit. 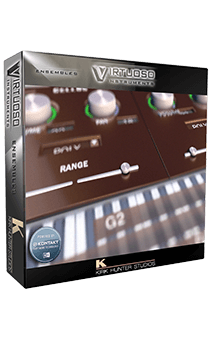 Requires Kontakt Retail (sold separately) Version 5.7.1 or higher. 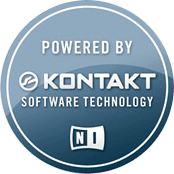 Please note that in the video walkthrough, there may be a mention of being able to run this library with Kontakt's free player version. That is no longer true. 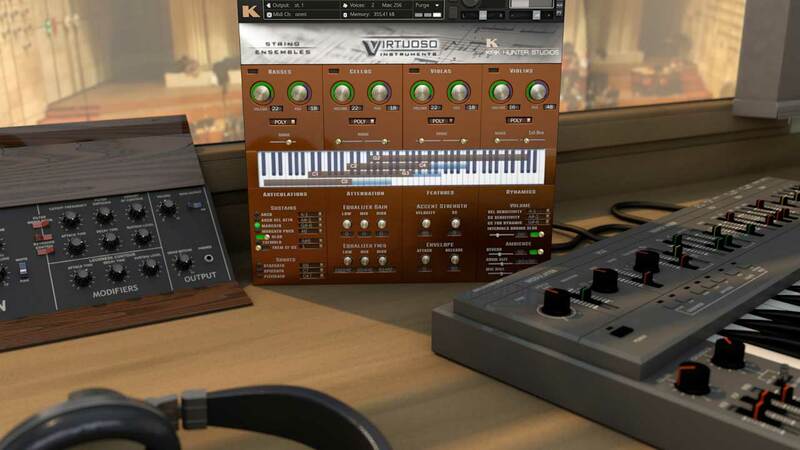 This library will only run if you use the FULL version of Kontakt. 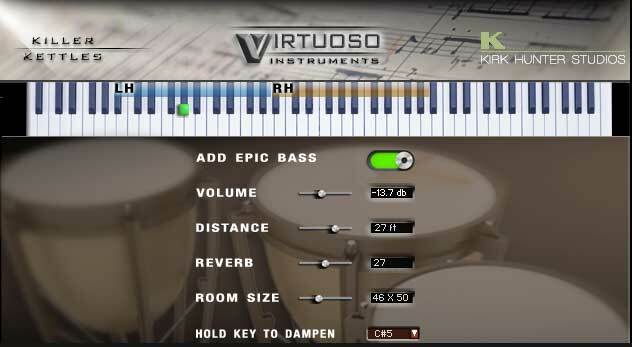 PLEASE NOTE: There is an instrument with the name "Virtuoso Strings Pro" that was accidentally included. This instrument was only used during the development stage and was not intended for normal use. Ignore this instrument.